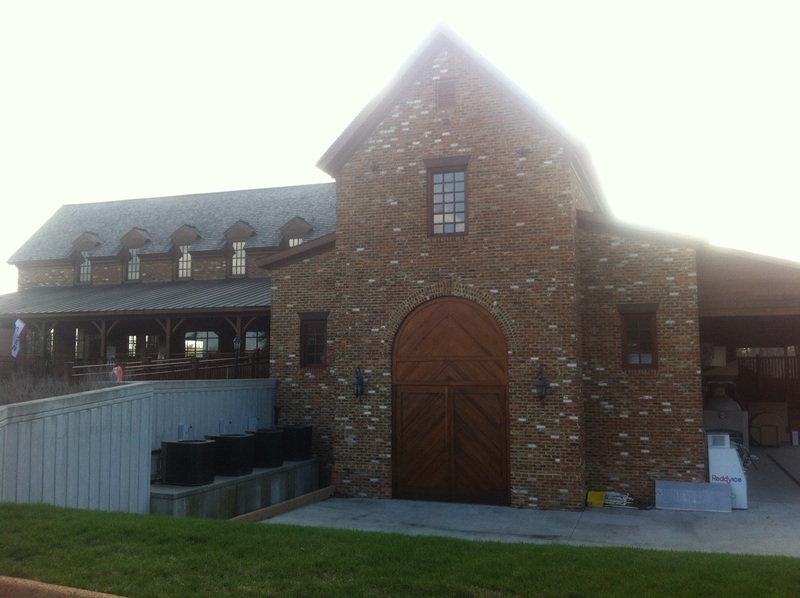 A little farther down the road from James River was New Kent Winery. 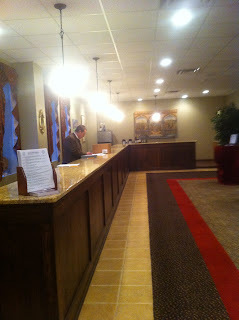 After winding through the beginning of new developments I found the tasting room. It was very quiet and rustic, made with reclaimed wood. For $8 I enjoyed a tasting of 7 wines, tour-from a very gracious and patient hostess-and got to keep my stemless glass. New Kent has been growing their grapes since 2001 and built their stunning tasting room in 2008 with many reclaimed and reused local materials. Like James River, they only buy two varietals, the Cabernet Sauvignon and Niagara which is a cousin to the Concord grape. My favorites were their Meritage and Merlot. They also serve a White Merlot which was quite interesting, it was sweeter than a red Merlot with 3% rs and hard to believe it was the same grape. They had a great porch that looked out over the vines where guests are welcome to bring their own food and enjoy the views with their wines. This was a very peaceful stop that seemed to be a little bit off the beaten path. Also overheard on my stop was a discussion that the owner or manager's office has floor tiles that come from the Ming Dynasty...rumor or not? En route to the beaches in North Carolina for a little spring R&R I decided to make a few wine stops on the way, how could I not when they are right off the highway? 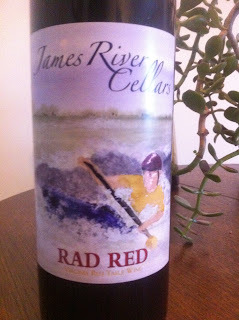 It was a random Tuesday and the first stop was James River Cellars. 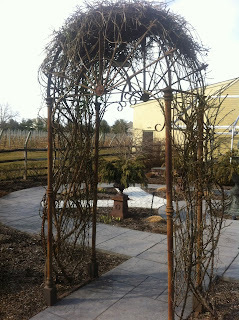 They have 20 acres of vines in Montpelier, those onsite in front of the tasting room are just for decoration, they are able to grow the majority of their varietals there, with the exception of Moscat and Chambourcin. Our server was Alison and she did a great job talking about the wines and offered several recipes throughout the tasting. The tasting included 14 wines for $5 in a bright and airy tasting room, unfortunately I think the wine distracted me from taking photos on this stop. I really enjoyed the 2010 Vidal Blanc that had a peach nose, but the grapefruit really came through when drinking the wine. The 2010 Rad Red which is a blend of the Merlot and Cab Franc was a deep, dry red and a portion of the proceeds go to the Massey Cancer Center in Richmond, I couldn't help but pick up a bottle for both the taste and the donation. I also enjoyed the 2008 Merlot and the 2008 Montelier Blush which has 3.2% rs, but would be quite enjoyable on a hot summer day; judging by the current DC weather, I'm guessing we are on our way to a long hot one, so I stocked up to be prepared! The other tasters had asked some questions about wine festivals and the staff advised that should you attend a two day festival go on the second day as that is usually Sunday, Saturdays tend to draw the rowdier crowds, I'll definitely be heeding this advice. 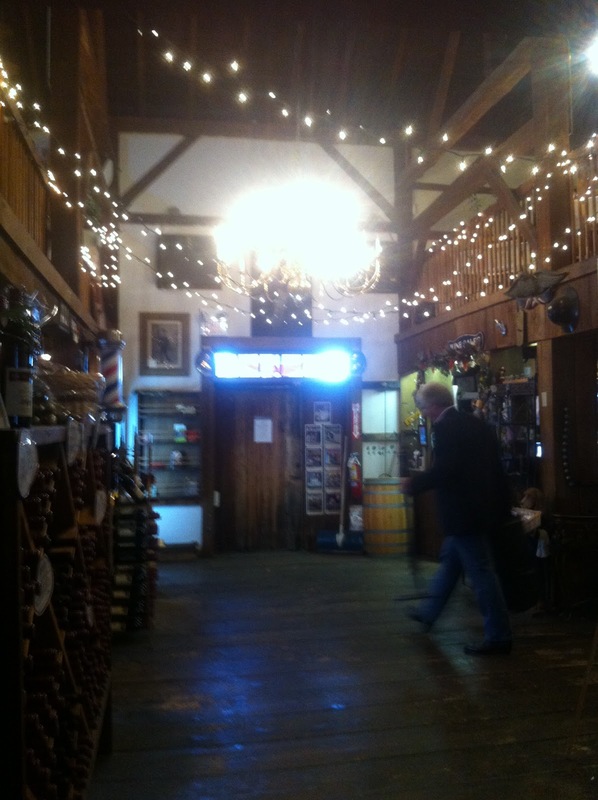 This stop was quick-for 14 wines!-quaint and easy to get to from the highway. There really wasn't much I didn't enjoy and the prices were pretty good too! Adding to what seems to be this year's theme of new (to me) states of wine, while in Philadelphia visiting Jenny & Michael we visited some Pennsylvania wineries. 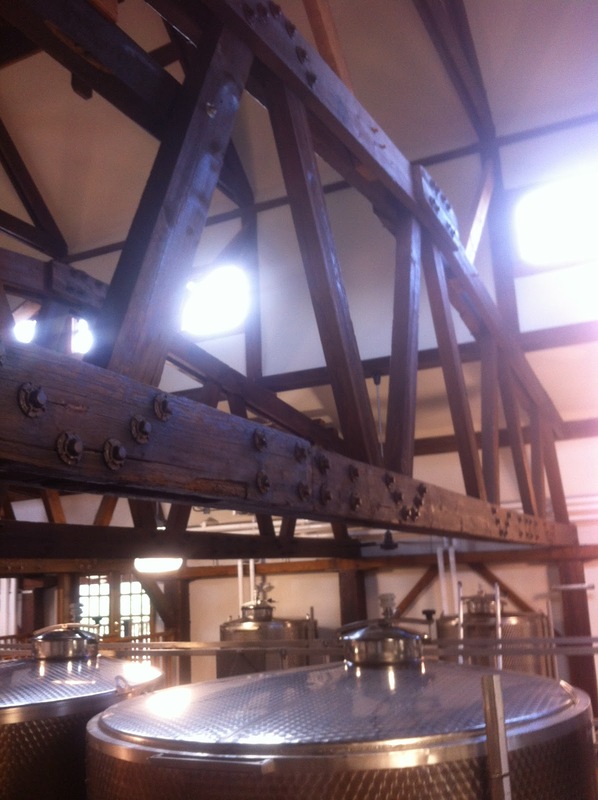 While we all enjoy sipping, they were also out to scout potential wedding venues. It made for an adventurous day along the Delaware River. We were able to make 3 winery stops while meandering through small towns, some with houses built right into the riverside cliffs. The views on the drive were much more than I expected and it was great to see a rustic side of the state. Our first stop was Crossing Vineyards and was probably the most picturesque of the three. It had a nice garden and outdoor event space, perfect for a wedding. With 15 fruit producing acres they produce 7 of their varietals on site, which is probably more than half of their varietals. 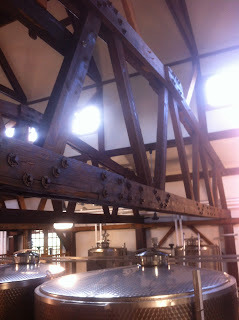 Inside the tasting room was bustling, so much so that we were sent to the barrel room for our tasting. Tables set up in a large U were arranged for several groups, unfortunately the winery was very understaffed. There were only two servers to manage the barrel room that had at least 6 groups tasting simultaneously which meant our tasting took close to 2 hours! We ended up skipping some of the dessert wines since we wanted to see the other wineries so we tasted about 16 of 19 wines they had available. We did enjoy the wines for the most part, specifically the oak Chardonnay, Merlot, Cab Sav-Merlot blend, Heritage and Chambourcin Reserve. They had several blends some that the server could tell us about when he had the time, others were the "winemakers secret." 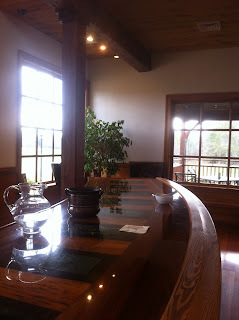 It seemed to us that visiting Crossing should probably done during the week and with a $15 (no glass included) tasting the winery could benefit from more management involvement as far as staffing the tasting room and support their staff by providing more comprehensive and consistent information on their wines. Stop #2 was New Hope Winery and much more our speed in terms of service and ambiance. 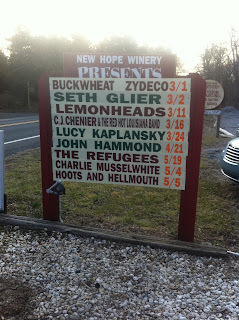 We pulled up to the winery and noticed a concert listings that Micheal, the music buff that he is, thought was a joke, he and Jenny were both thrilled to find out that it wasn't at all. 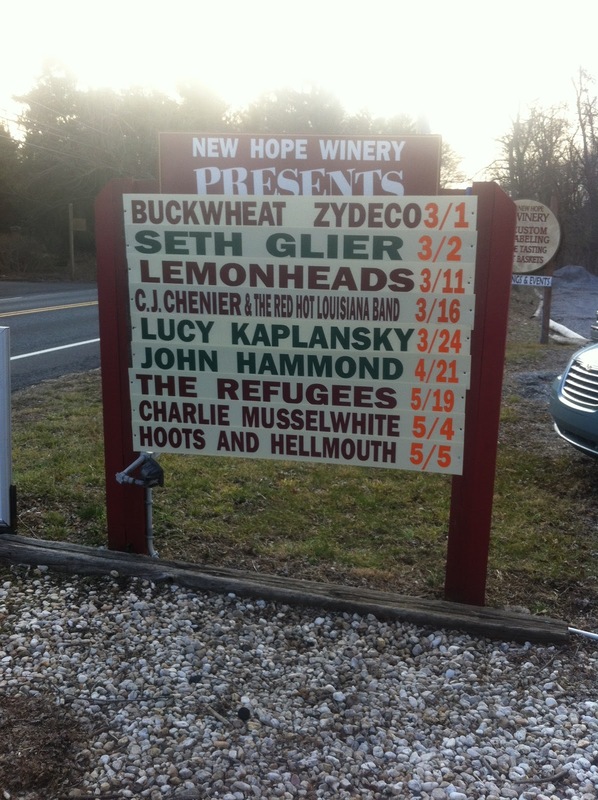 The winery features local and national acts regularly. 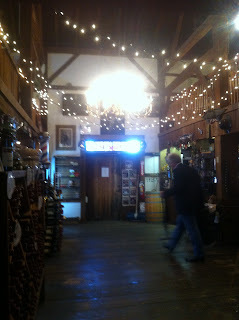 The interior was a cozy, rustic barn and for $7 we were able to pick 5 (or 7) and keep the glass from the list of their 24 wines. 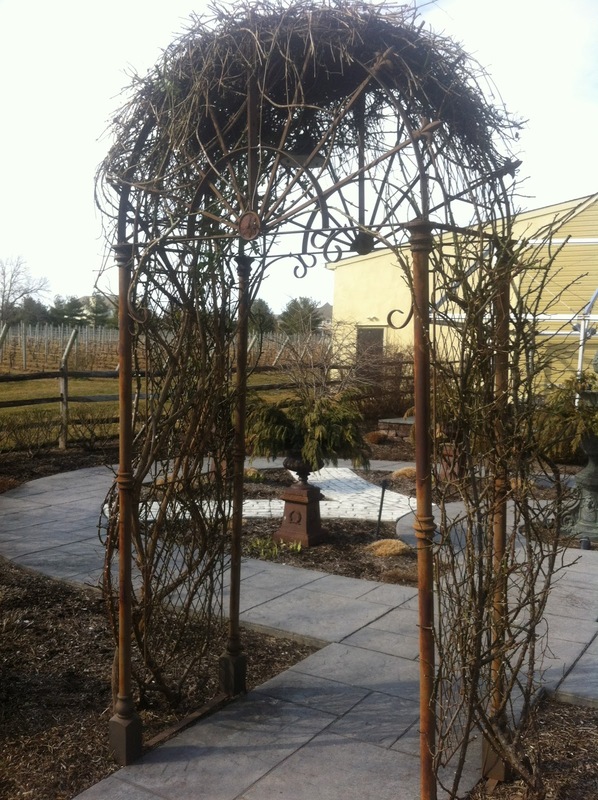 They feature several fruit wines much like those found at Horton Winery in Charlottesville. It turned out that our server also was the talent scheduler and asked for our --er Micheal's input on future bands he'd like to see there; who know how many she can line up, but being able to give suggestions was great. Our favorite wines were the Chancellor which was similar to a light Cab Franc and the Almondiera probably because it was the most unique as its made with almond extract, it was similar to Amaretto, but a wine. While there wasn't much we didn't like a Sand Castle, its no doubt that for their reds the best was their 2001 Estate Grown Cabernet Sauvignon. 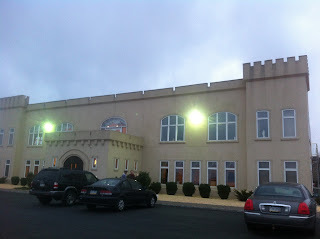 It was too bad it was dark and rainy out as it would be nice to spend some time wandering the grounds and facility since it really is a large sand castle sitting on a hill above the river. This was just a third of what lies on Bucks County Wine trail, but winding through these wineries, especially the last two was good way to spend a rainy day with great friends.